If you have a small space, or a few rooms in your home that just feel a little too closed in, we can help! 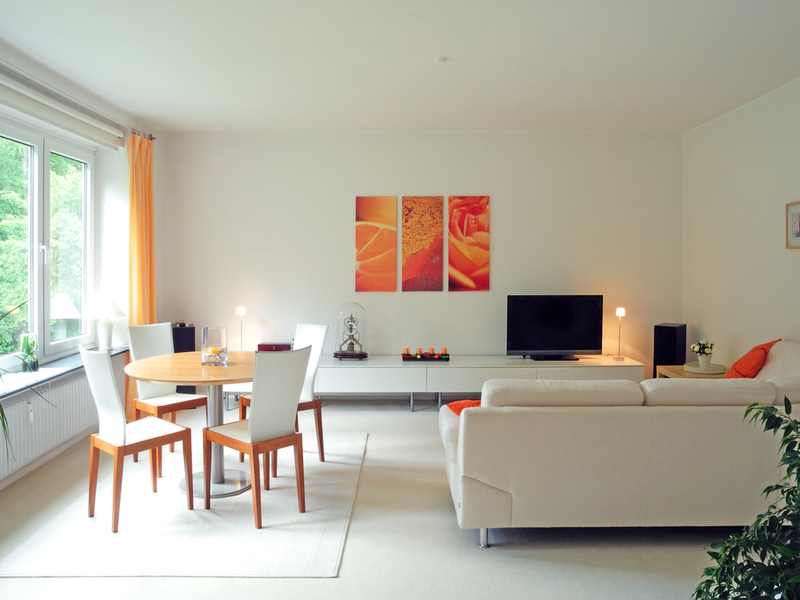 It is possible to make your home feel more open with a few interior design tricks that will fool the eye into thinking an area is larger than it actually is. Darker colors are certainly cozy, but it’s the lighter shades that really help to open up a space. That’s because they reflect light - something that naturally makes a room feel more airy. 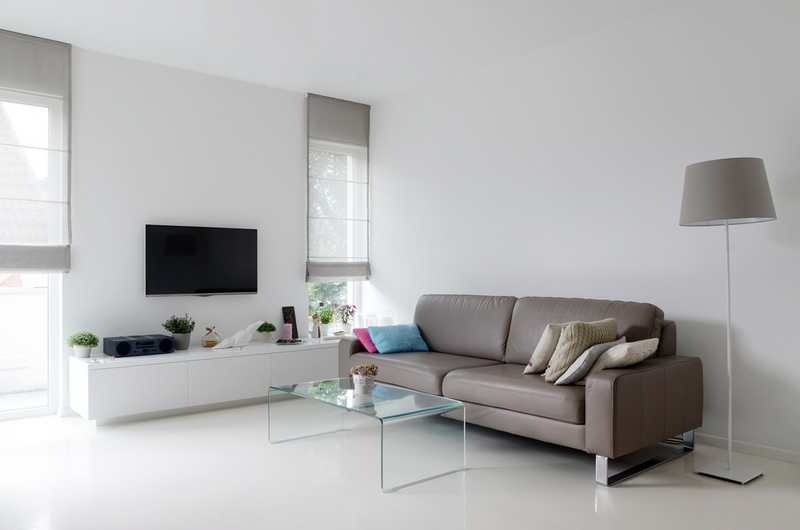 If you’re looking to make your home feel more open, opt for a light color pallette when it comes to your floor and walls. It’s only natural to want to push your furniture right against the wall when you have a small space. After all, you need to maximize what you’ve got, right? Wrong. Furniture that’s right up against a wall makes the whole room look cramped. Pulling your furniture towards the center for the room - even just a few inches - can instantly make your space feel more open. There are plenty of organizational tools on the market today - something that’s beneficial to homeowners, especially those of us in small spaces. 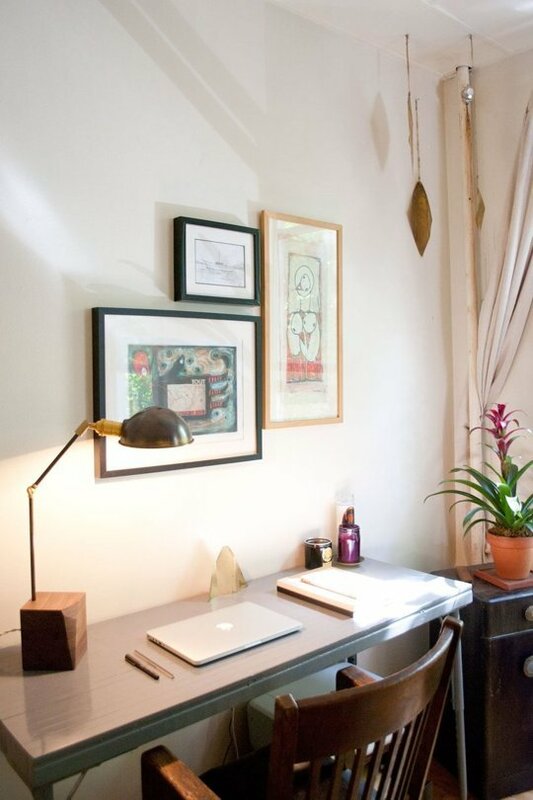 Keeping your home clutter free makes it look and feel more open. Invest in hidden storage items and multi-purpose furniture to keep your favorite things close, without disrupting the flow of a room. Hanging drapes just below the ceiling, or adding a shelf near the top of a wall are both wonderful ways to make a space feel larger. That’s because, by drawing your eye upwards, you’re helping to open up a room. And if you choose to add a shelf, you’re incorporating extra storage space, too. 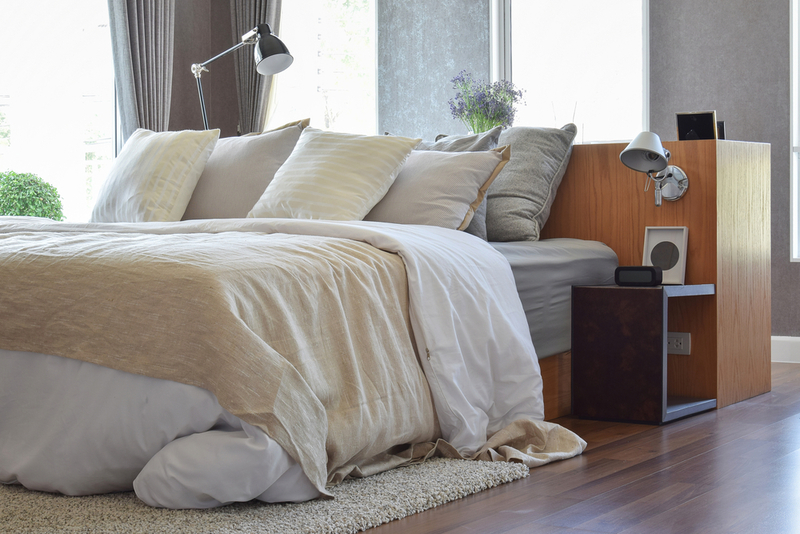 If you want to make a room feel more open, it’s important to invest in the right furniture pieces. Avoid solid, chunky items, like skirted sofas, and instead look for pieces on raised legs, or items made of clear materials. 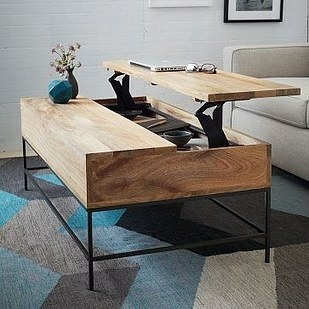 Those pieces have less visual weight, and will help to achieve the look of more space in a small room. 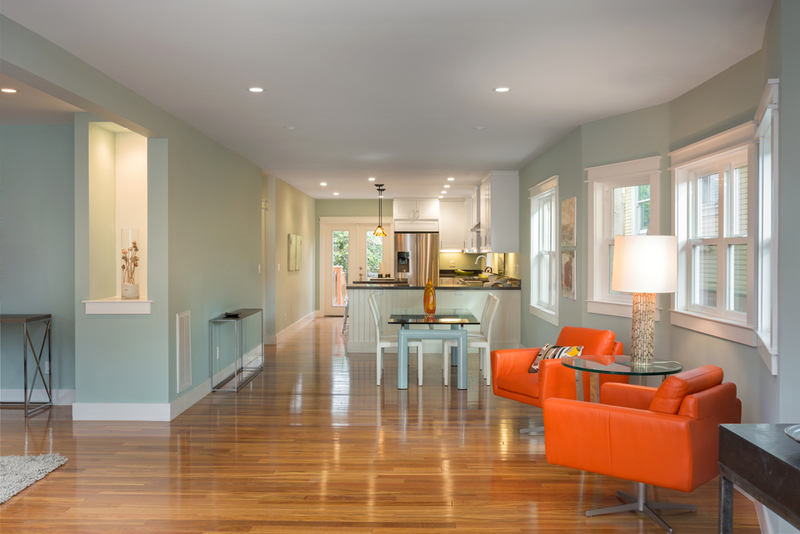 Keeping flooring consistent throughout your home creates a wonderful flow that makes your space feel more open. Don’t break up an open floor plan by installing tile in the kitchen and hardwood in the living room - instead choose one style and stick with it. It’s also a good idea to avoid most patterned carpets and area rugs in order to make a room feel larger. 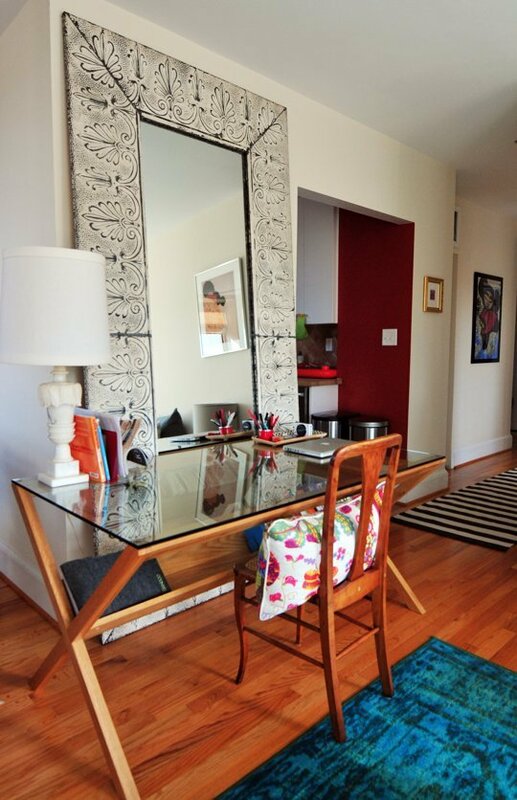 Mirrors reflect light, and adding a few to your decor can really help to open up a room. Whether you choose to hang individual mirrors, or a large piece that goes from floor to ceiling, it’s important to consider which parts of your space that you’d like to be reflected. Then place your mirrors accordingly. Turn off the pot lights and hang any pendant lights as low as possible. Keeping your lighting at floor, table, and eye level, rather than on the ceiling can help open up a space by limiting shadows, and creating more space between your light fixtures and the top of the room.